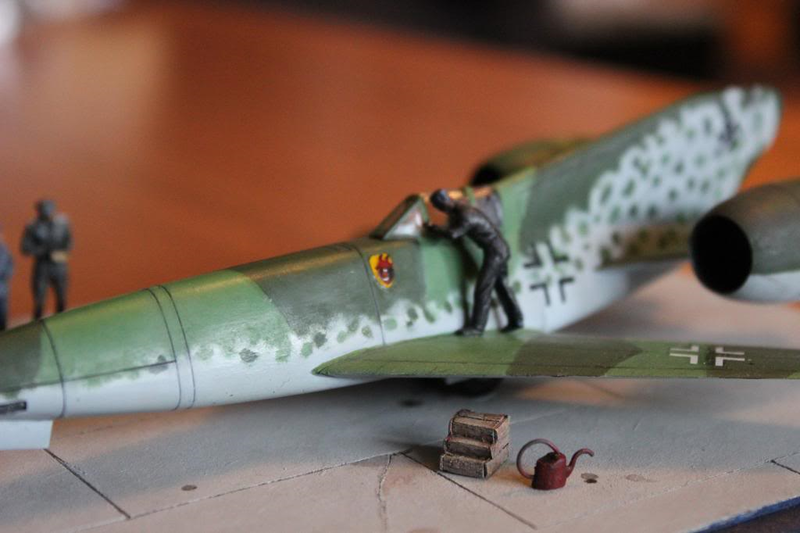 Pictures of my last "old" diorama. 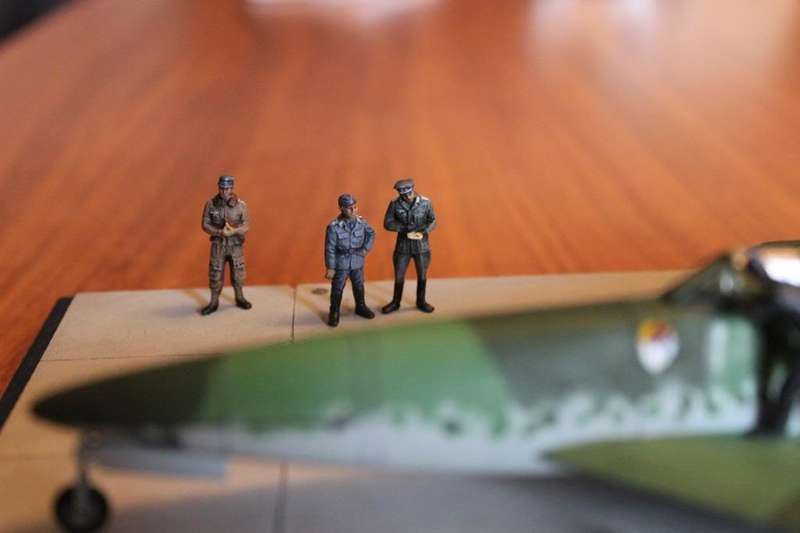 This time a "What-if" or "Luftwaffe-46" scenario. 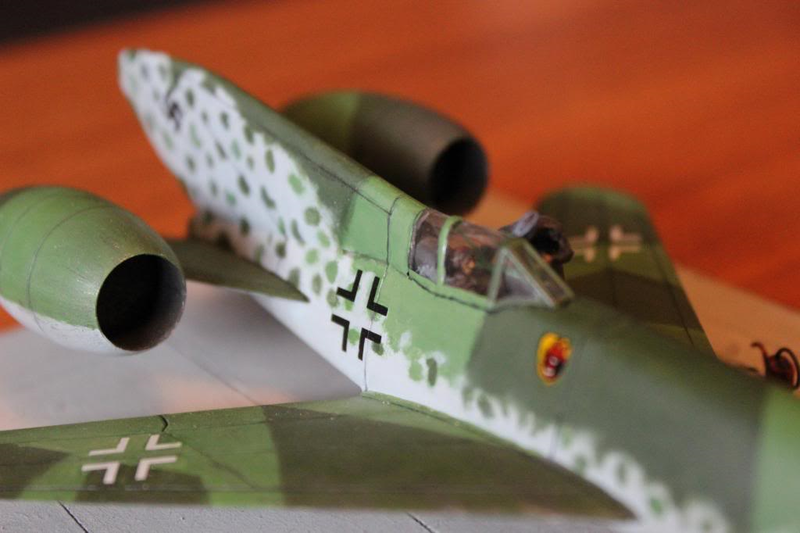 It's the Focke Wulf Ta-283. The diorama is set in Spring 1946. The Normandy landings was postponed in June 1944 because of bad weather and a later attempt failed. Because of this the German army could send reinforcements to the East and stabilize the front. During 1945 there was a general lull in the fighting because of exhaustion on all sides. There was even talks of an armistice. 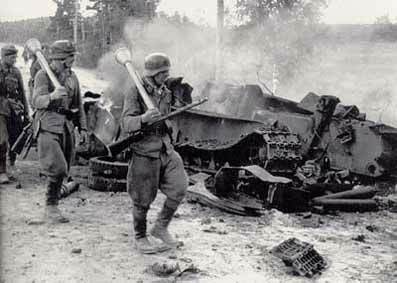 Now in Spring 1946, the Soviets make a final attempt at ending the war and are advancing ever nearer to Berlin. The Western allies put their hopes on the Italian front and repeated bombing raids on Germany (they have decided not to use the Atom Bomb in Europe, unless absolutely necessary). The Ta-283 is to be used in combat for the first time in another attempt at stopping the Alled bombing campaign. The aircraft never left the drawing board and we will luckily never know if it would have worked as a combat aircraft. I have painted the panel lines too sharp. Perhaps fix this sometime... 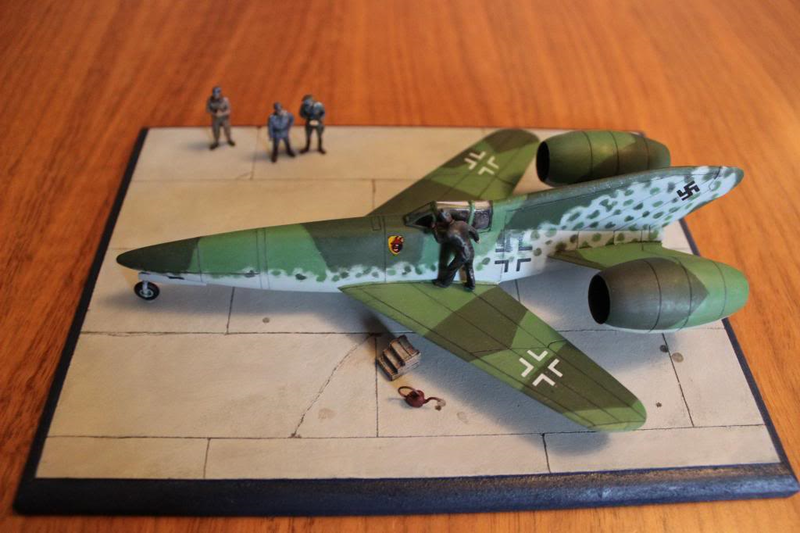 The aircraft kit used is made by Huma Modell.